Businesses at least one year old and turning over between £50,000 and £500,000 now have a chance to win £5,000 in a new monthly cash competition. 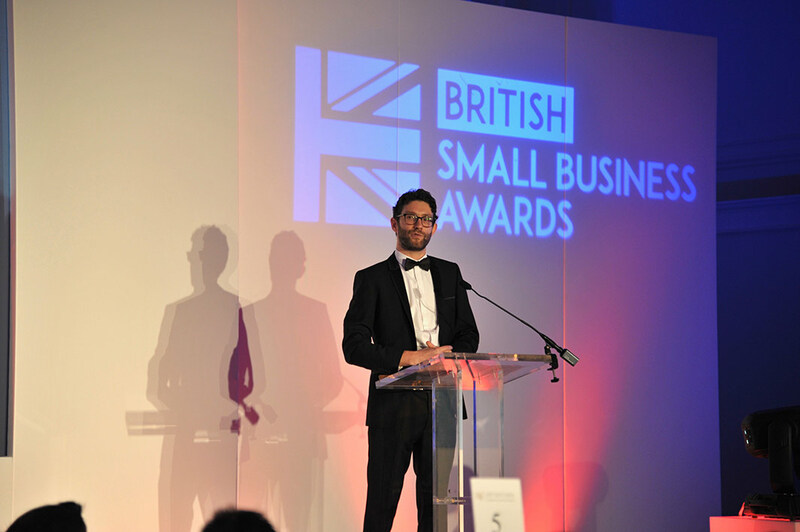 Small Business Grants is a free-to-enter initiative from leading business advice website SmallBusiness.co.uk, giving promising businesses the chance of a cash prize in return for filling in a single online form. Whether you are running a cafe, operating a business from home, or perhaps managing a franchise, you will need funds to establish and grow your company. Depending on the type of business, this requirement may vary from a few hundred pounds to multiple thousands. However, it is often the case that business owners struggle to find the funds they need. The Small Business Grants initiative, in association with Travelers, Shelley Stock Hutter, Melt and A City Law Firm, will help small businesses in this area, offering monthly financial assistance and benefits to maximise their chance of success. The application process is simple - all business owners have to do is fill in a form talking about their business. They should detail key achievements, using figures and examples where possible, such as turnover growth, key contracts won, partnerships forged, or anything else that helped their company move forward. At the end of each month, a shortlist will be compiled of the top applicants, which will be sent to a panel of judges, made up of leading entrepreneurs and industry authorities. The winner for that month will be announced in the middle of the following month. In addition to receiving cash, grant winners will benefit from editorial coverage exploring how they used the money; articles that offer an interesting insight into just how a cash injection can benefit small businesses and help them flourish. Whether you need the money to market your offering, invest in technology, or perhaps take on some part-time staff, Small Business Grants is an easy, free, and exciting way to further your business. ‘For years, our readers have been asking how they can get hold of grant funding, and while there are a few initiatives out there, they often require applicants to jump through hoops to get the money they need to invest in growth. Applications for the Small Business Grants initiative can be made here. Only one application per business per quarter is permitted. Good luck! Small Business Grants is a new initiative from business advice website SmallBusiness.co.uk. It offers £5,000 a month to businesses turning over between £50,000 and £500,000. SmallBusiness.co.uk, a Vitesse Media product, is a leading advice website aimed at early-stage companies and businesses with less than 50 staff. The site offers the most up-to-date advice, features, guides, and news on all aspects of starting, financing and running a business today, from marketing, to sales processes, to managing staff. Vitesse Media are the leading specialists in growth businesses – entrepreneurs and CEOs, their investors, advisers and suppliers. Vitesse Media offers award-winning publications, fast-growing websites, exciting events and much-acclaimed research. Flagship titles include SmallBusiness.co.uk, Growth Company Investor, Information Age, GrowthBusiness.co.uk and What Investment. This press release was distributed by ResponseSource Press Release Wire on behalf of SmallBusiness.co.uk in the following categories: Food & Drink, Personal Finance, Business & Finance, Travel, Education & Human Resources, Media & Marketing, Retail & Fashion, Public Sector, Third Sector & Legal, Manufacturing, Engineering & Energy, for more information visit https://pressreleasewire.responsesource.com/about. SmallBusiness.co.uk is published by Vitesse Media and provides advice and useful guides to UK sole traders and small businesses. Our goal is to help owner managers start, run, grow and succeed in business.